Bowtex was founded by a BMW-mechanic from Brussels who gave up the search for the perfect motorcycle trousers. He, like so many of us, just wanted to wear his favourite jeans on the bike but felt bad about skimping on protection. So he developed the Bowtex leggings. These can easily be worn underneath your favourite trousers, no matter what fit those are. 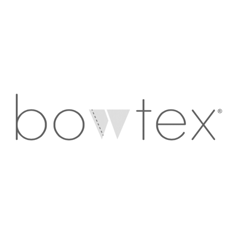 Those leggings have proven to be immensely popular products amongst our customers and ourselves, so we were intrigued when Bowtex introduced the next product in their line-up: the Bowtex Kevlar® Shirt. Just like the leggings, the shirt allows you to wear your favourite (and not necessarily protective) clothing on the bike. This shirt is constructed out of a highly abrasion resistant blend of Kevlar®, Protec and cotton. The stretchy nature of this fabric makes the shirt just as comfortable as the leggings, while cooling you down in summer and adding an extra insulating layer in winter. 100% Kevlar® patches are incorporated on the back, chest, shoulders and elbows and of course, there are pockets for optional shoulder, elbow and back armour.